Chinese Super League clubs are looking at Marouane Fellaini and Ole Gunnar Solskajer could sanction his sale this month, according to a report. ESPN report that Manchester United’s interim boss is open to selling the Belgium midfielder and two clubs in the CSL are believed to be leading the chase. Solskjaer revealed on Friday at his news conference that Fellaini has a calf problem that will probably see him miss three or four weeks, but that problem is not believed to be serious enough to put off his suitors from Asia. Beijing Gouan and Guangzhou R&F are targeting the 31-year-old, who the Daily Mirror recently claimed was available for around £15million. 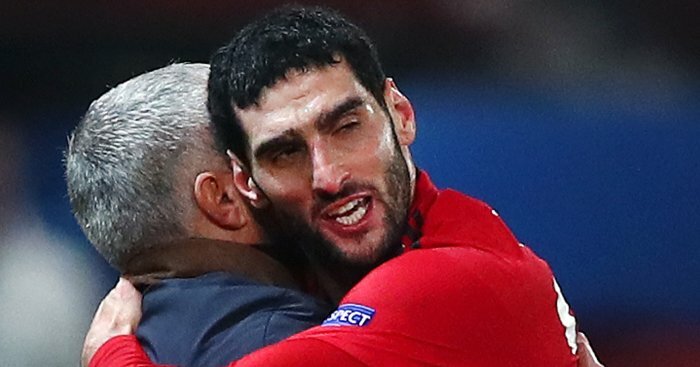 Fellaini signed a two-year contract worth £100,000-a-week to stay at Old Trafford last summer – a deal which Jose Mourinho fully endorsed. However, since then his game time has been minimal with just six Premier League starts this season. While under Solskjaer’s reign Fellaini has featured for just three minutes – in Solskjaer’s opening game in charge at Cardiff. The Norwegian coach claimed there would be no incoming transfers this month, while also ruling out Scott McTominay’s exit due to the injury to Fellaini, but he will offload the former Everton man if the money is right from China. There is also not an immediate rush to get the deal done with the Chinese transfer window open until February 28, as opposed to the Premier League’s January 31 deadline. The post Solskjaer ready to sanction January sale of Mourinho favourite appeared first on teamtalk.com.